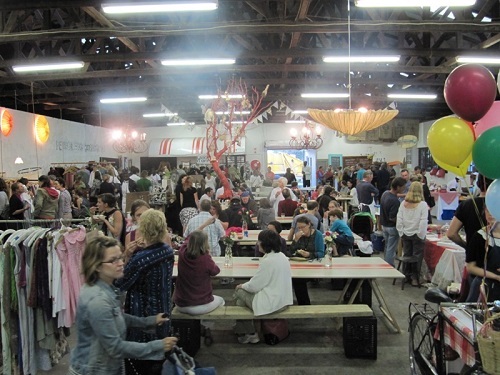 Spend a Friday evening enjoying live entertainment, good food, art, fashion and shopping while you discover the joys of Cape Town’s Friday Night Markets. Take an early evening scenic drive to the quaint fishing village of Hout Bay where you will visit a Night Market housed in a beautifully refurbished fish factory right at the water’s edge. Meet many interesting people of all ages and cultures while you explore more than 100 stalls offering antique collectables, art, funky fashion and traditional South African food and drinks. Indulge yourself in food, craft beer and lively conversation while being entertained by live performances. Proceed to the magical woodlands of Tokai Forest where you will visit the Range Night Market. Look forward to a large variety of excellent wines from the surrounding wine estates, fresh farm produce as well as hand crafted goods and clothes. Experience the warm local hospitality as you enjoy koeksister’s, samoosa’s, craft beer or coffee while you learn more about South African cuisine and culture. Relax to soothing background music while your kids entertain themselves with the large number of activities on offer. 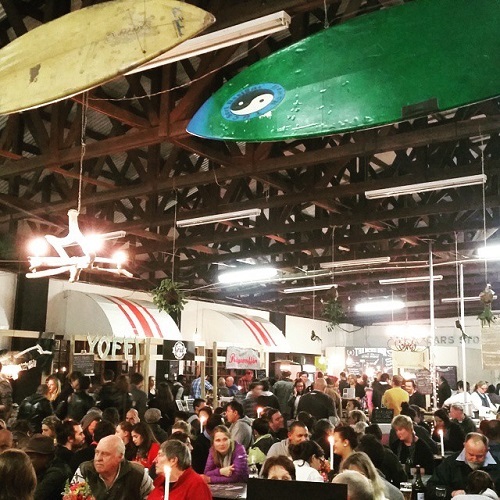 End your night excursion with a drive to Blue Bird Garage Food and Goods Market located in an old airplane hangar in Muizenberg on the False Bay Coastline. Explore the many high-end fine food and goods stalls offering everything from fine jewellery, hand crafted ceramics, vintage clothing and gourmet food. With a large kids play area complete with climbing walls, swings and slides you can enjoy everything from potjies, Thai curries, fresh sushi or artisan breads while your children are entertained. Do not forget to bring your basket along, which will undoubtedly be filled with cake, honey, biltong, bread and other delicacies by the time you leave. This is definitely an evening the whole family can enjoy and remember for a very long time. Our guide will then drive back to Cape Town CBD to drop you off at your hotel.